The CVGA works across Central and Northern Victoria to support local government with climate change mitigation and adaptation activities. We represent 13 councils and help them to develop and implement innovative regional initiatives to benefit their local communities and the economy. The CVGA area includes a swathe of Central and Northern Victoria from Ararat and the Macedon Ranges Shire up to Swan Hill and Mildura. In April 2018, the CVGA took over the ownership and management of the MASH community solar bulk-buy from the Hub Foundation – with the best wishes and support of the directors of the Hub Foundation. 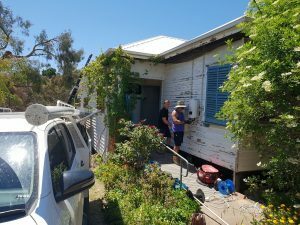 The CVGA have a long history delivering community energy projects such as the Central Victorian Solar City project from 2010-2013 and more recently the Solar Savers program targeting low income pensioner households. The CVGA is managed by a board consisting of representatives of the councils, with day-to-day management by Executive Officer, Rob Law. Learn more about CVGA. Before returning to Australia in 2011, Jo worked in senior marketing roles in software, project management and publishing. Back in Australia, she settled in Castlemaine with her young son and provided marketing consultancy services to local organisations. 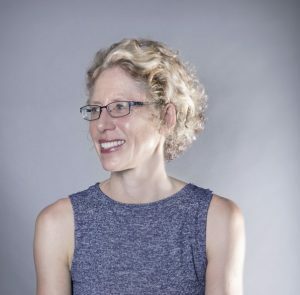 In 2014 she was invited by the directors of the newly formed Castlemaine-based Hub Foundation to help launch a new community solar bulk-buy called MASH. For the last four years, she’s been instrumental in the success of MASH, now recognised as one of Australia’s leading examples of a community solar bulk-buy. Jo recently moved with the MASH project into the Central Victorian Greenhouse Alliance where she is the Program Lead for the MASH solar bulk-buy. Jo Kaptein works within the Central Victorian Greenhouse Alliance (CVGA) team which is led by Rob Law, Executive Officer. To learn more about Rob and other members of the CVGA team, visit the CVGA website.